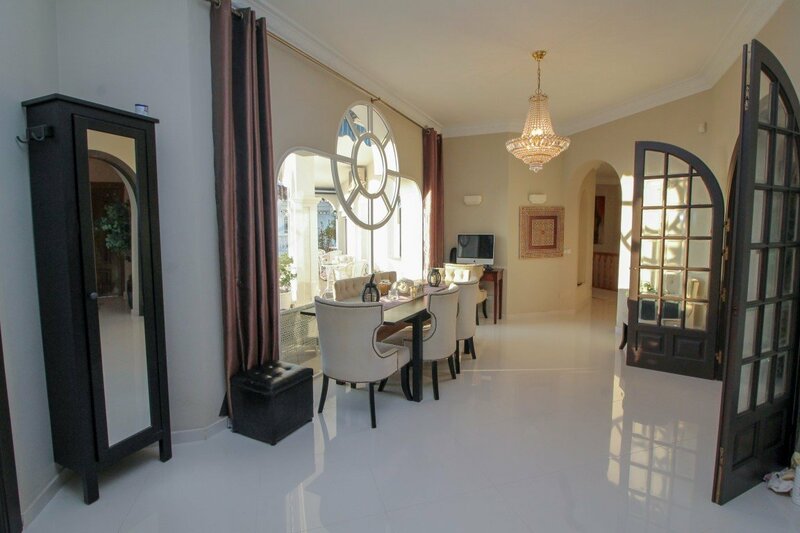 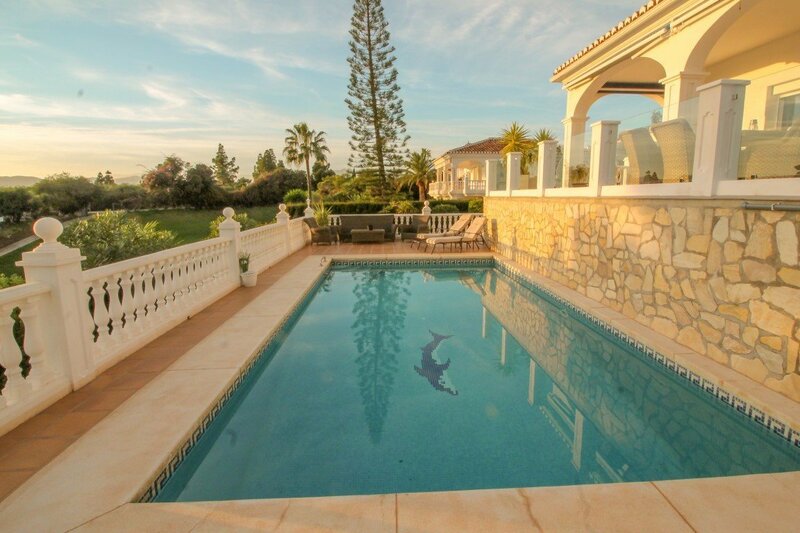 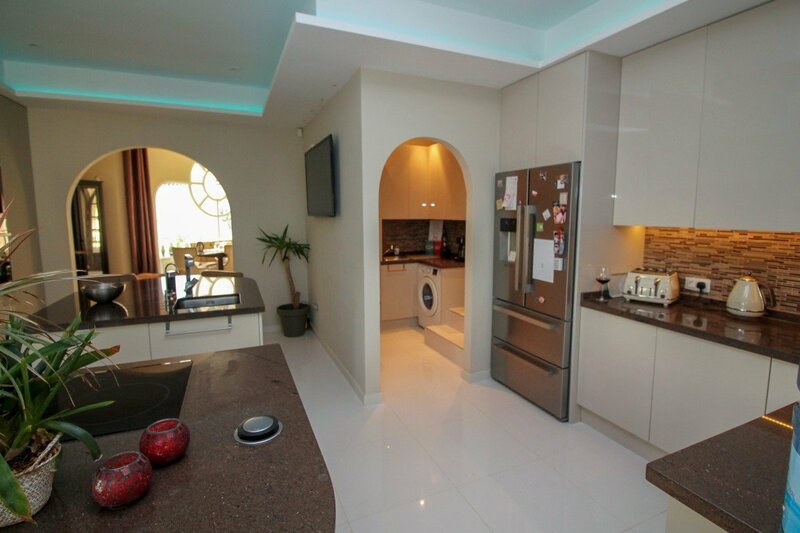 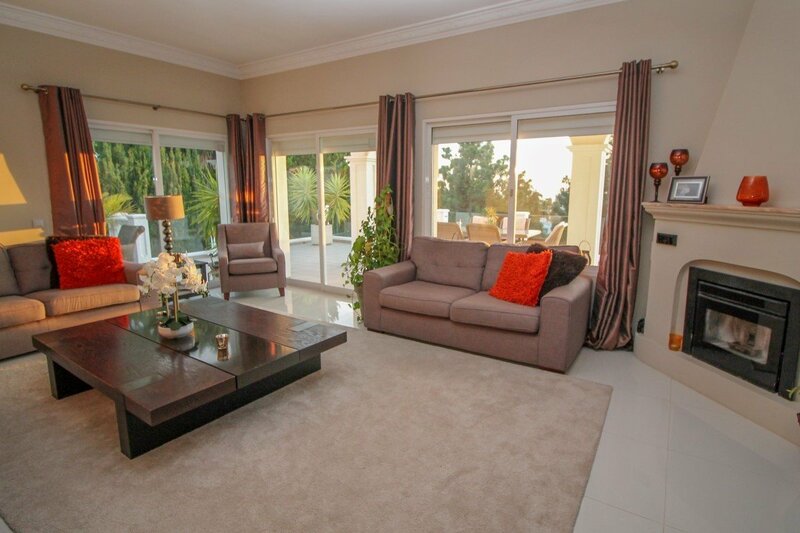 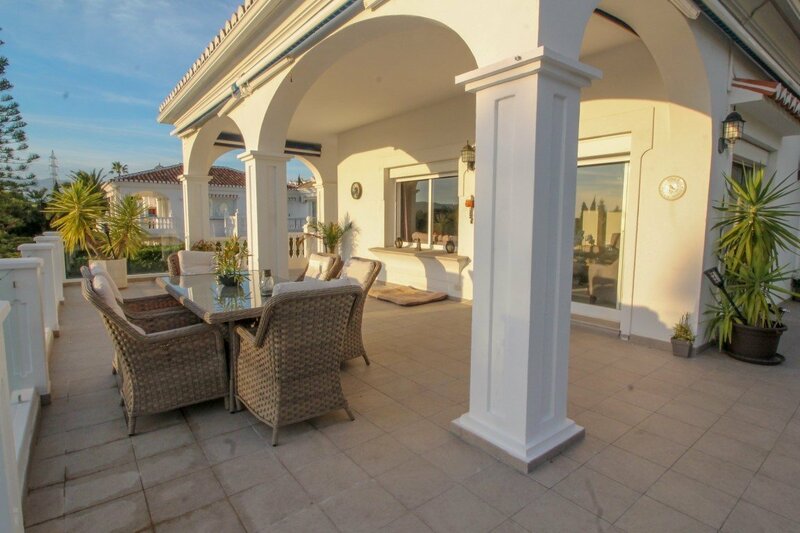 Exceptional 4 Bedroom front line golf Villa with great sea views. 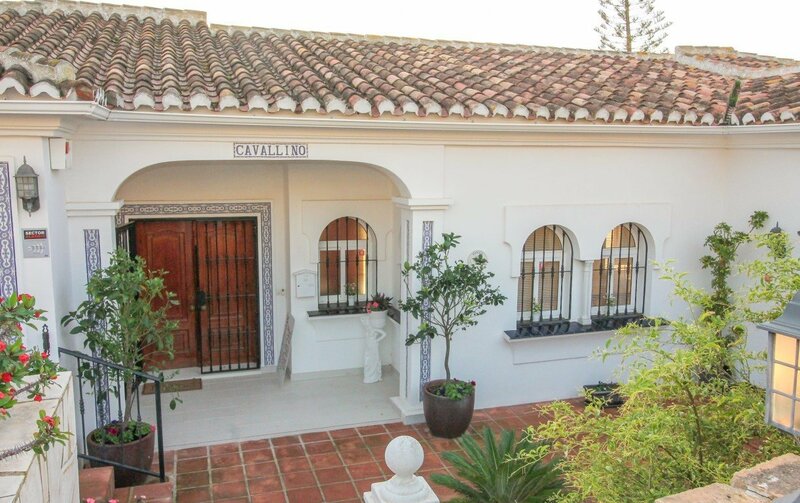 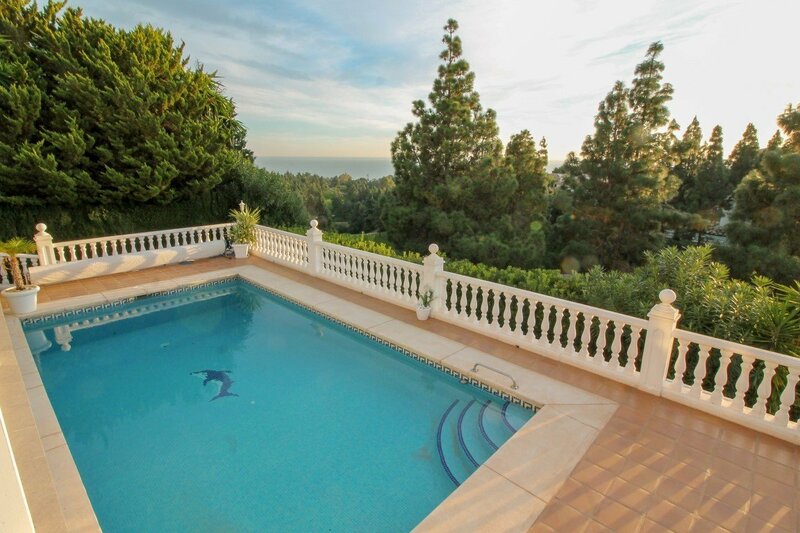 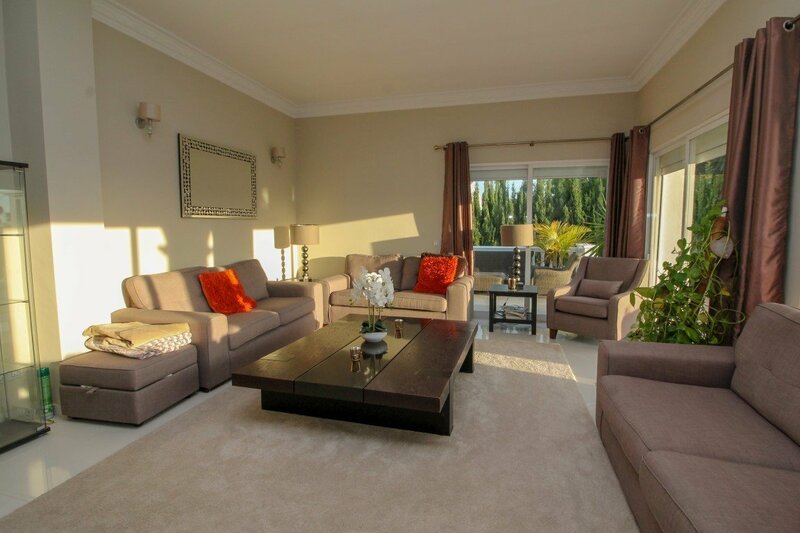 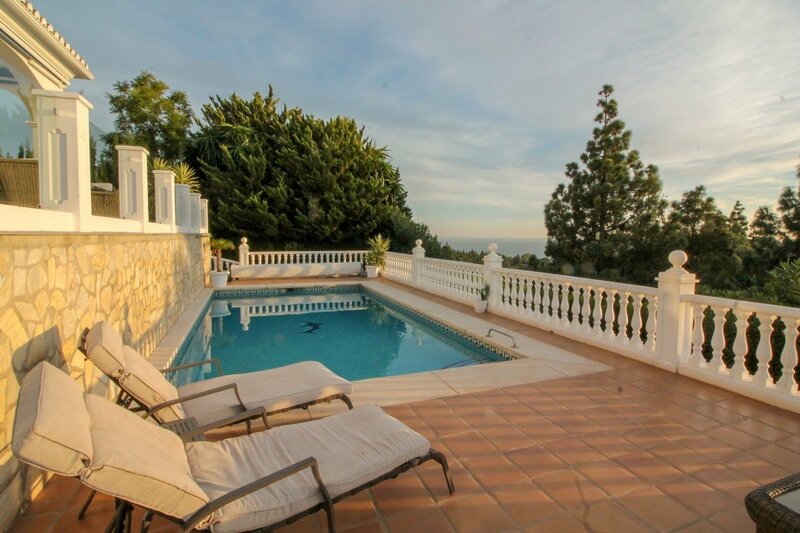 Located in El Chaparral minutes from La Cala. 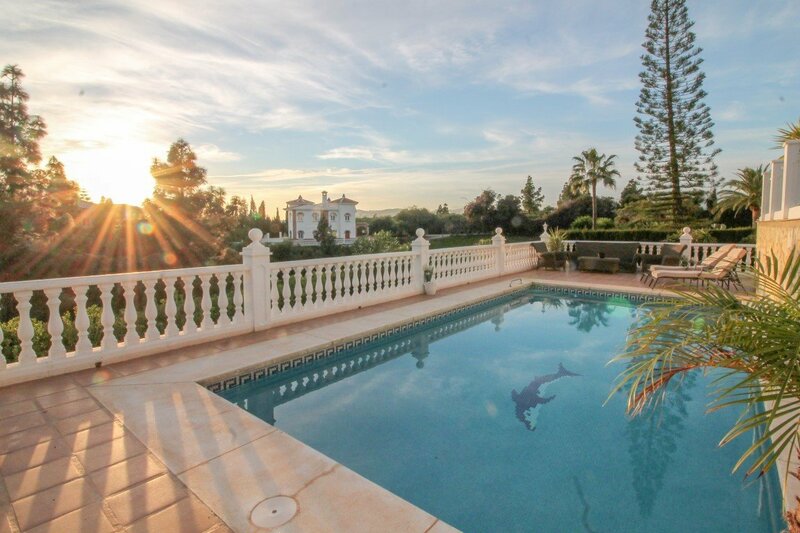 A generous south west orientated plot provides the perfect location for this spacious property offering ample terraces and large private swimming pool. 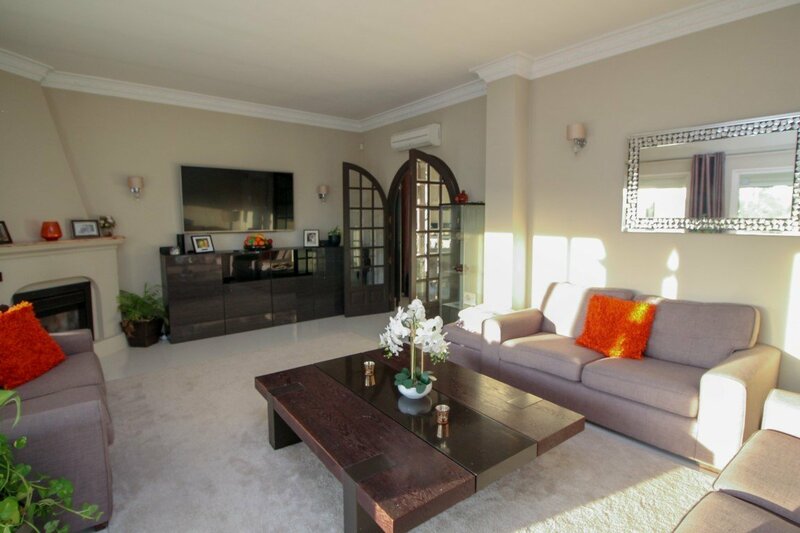 The property is located in a well maintained residential neighbourhood and has immediate private parking in the large garage and forecourt for up to 3 further vehicles. 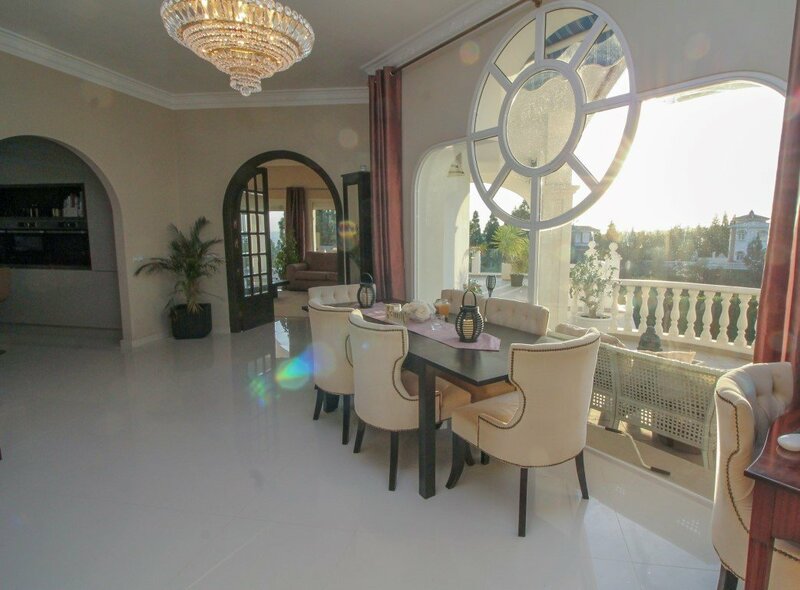 On entering the ground floor there is a large entrance hall with a beautiful huge feature window with plenty of natural light. 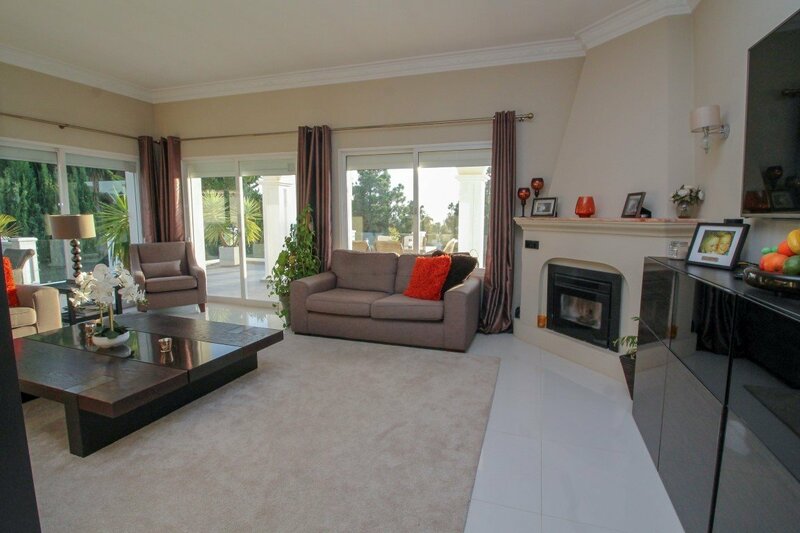 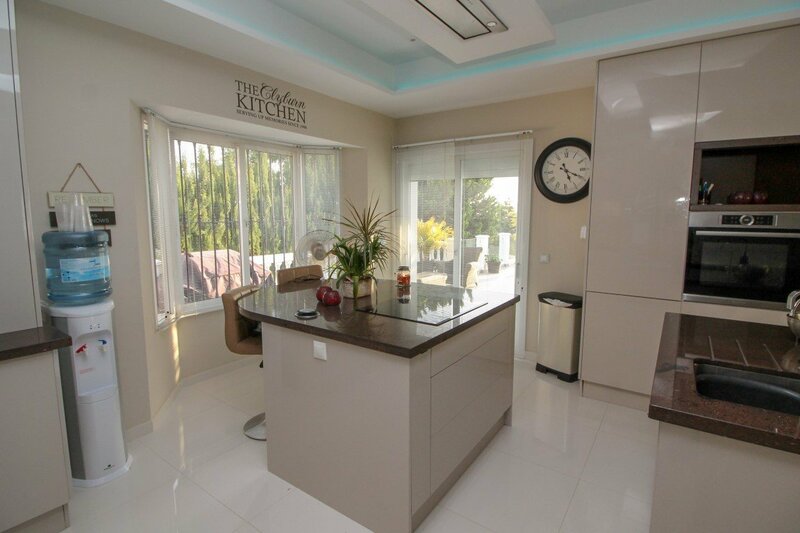 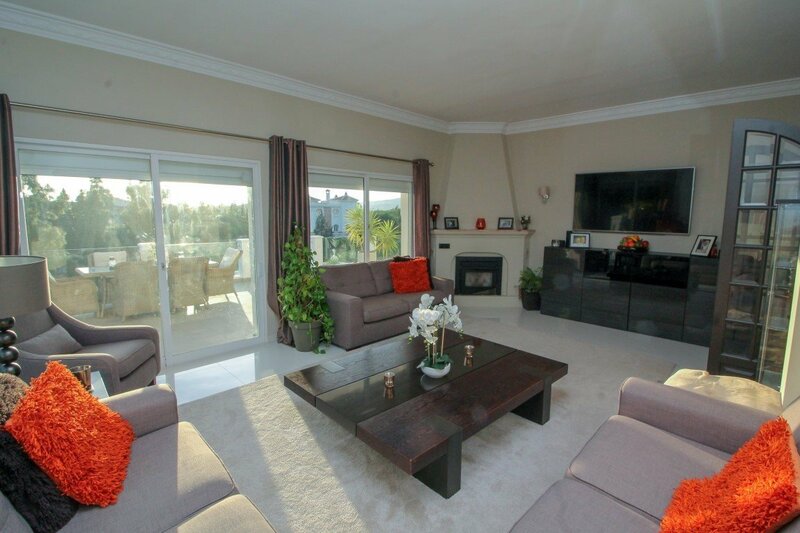 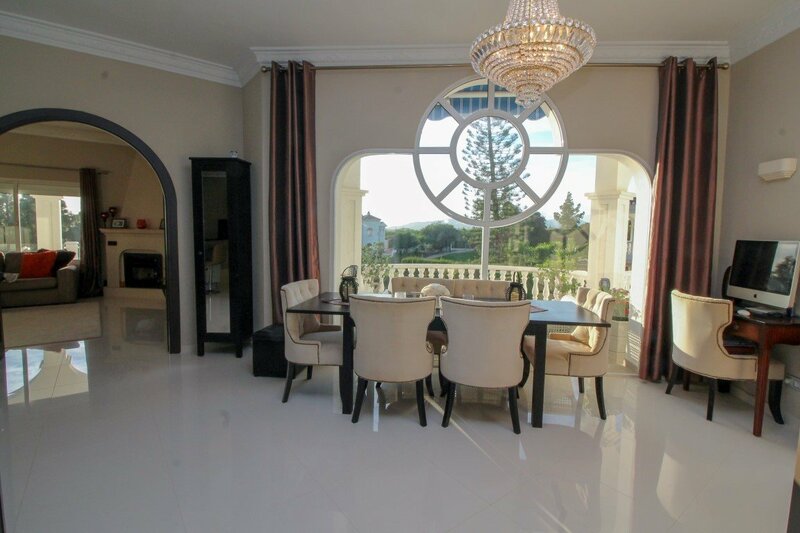 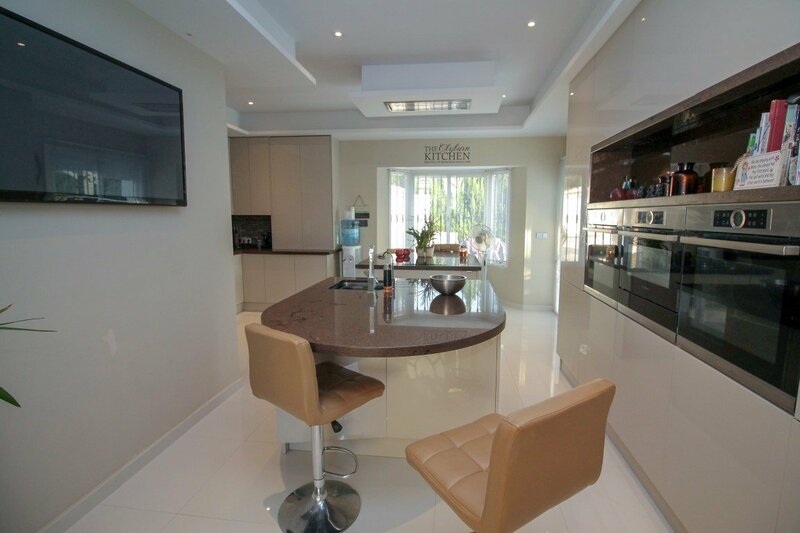 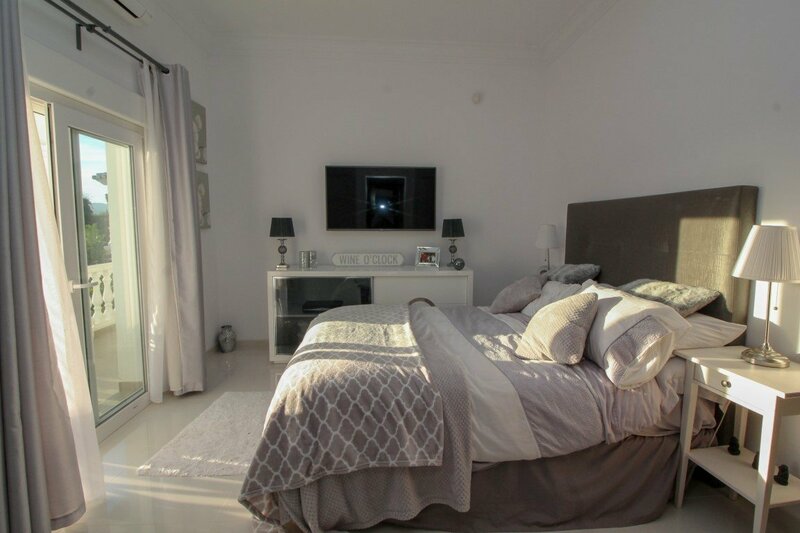 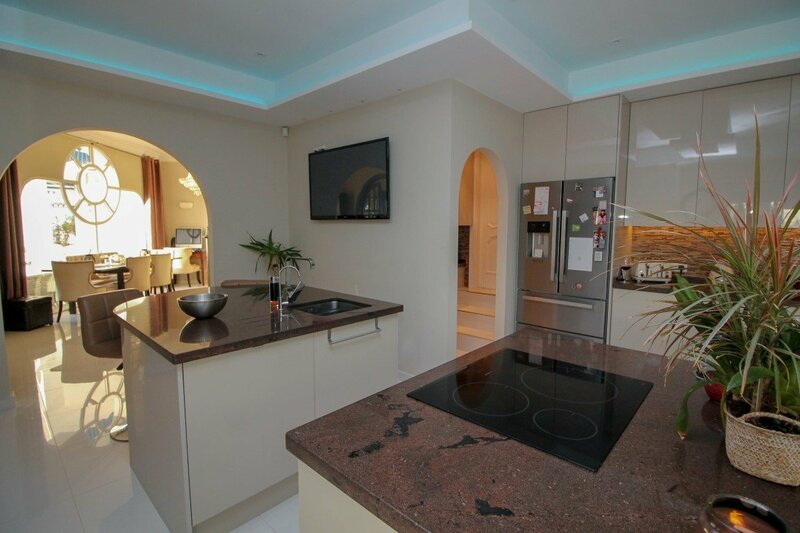 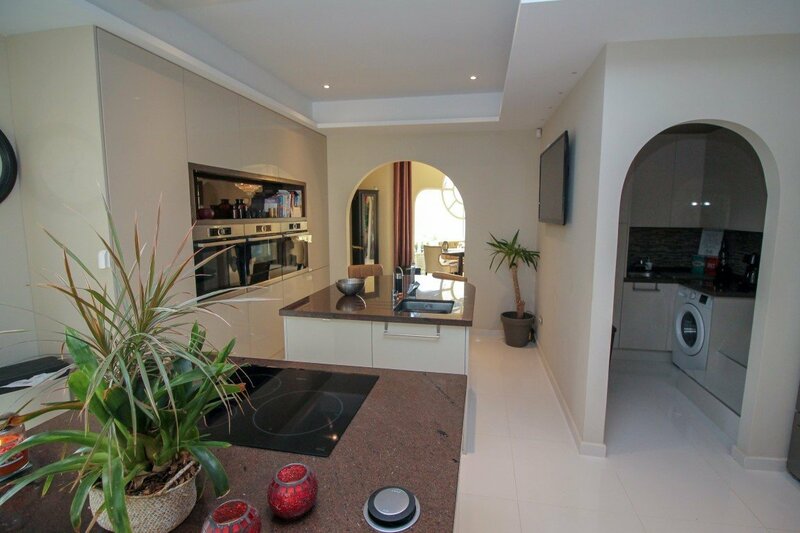 This level also features completely refurbished and fully fitted modern kitchen and utility room, large and bright open lounge and dining areas with feature fireplace and three windows including patio doors leading onto the vast terrace areas on two levels with a secluded pool area with sea views. 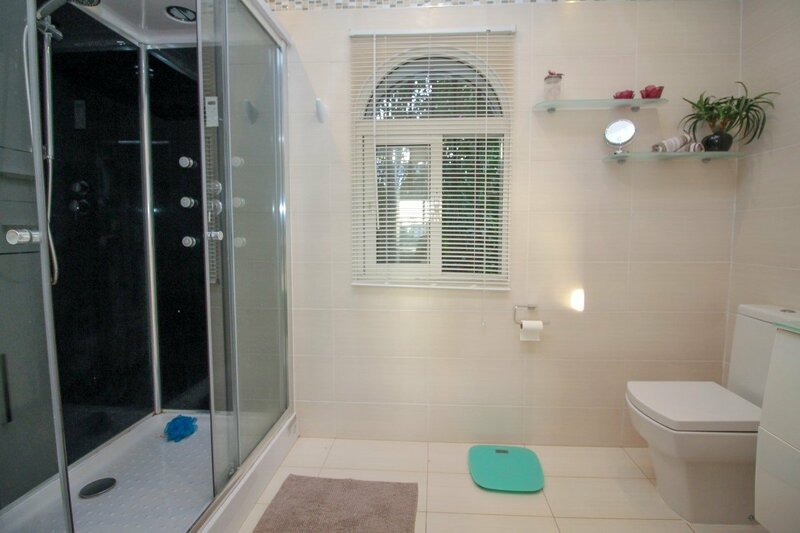 Two double bedrooms both with en-suite bathrooms, fitted wardrobes and direct access to terraces. 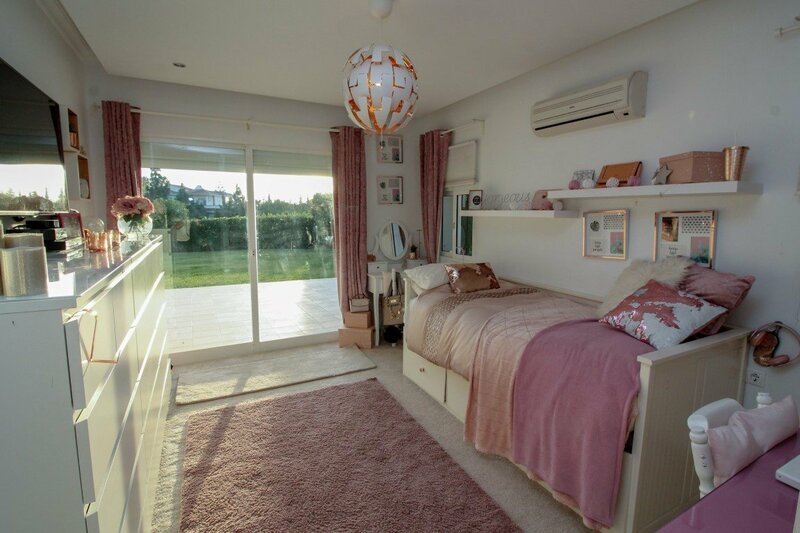 There is also a study area which could also be used as a fifth bedroom. 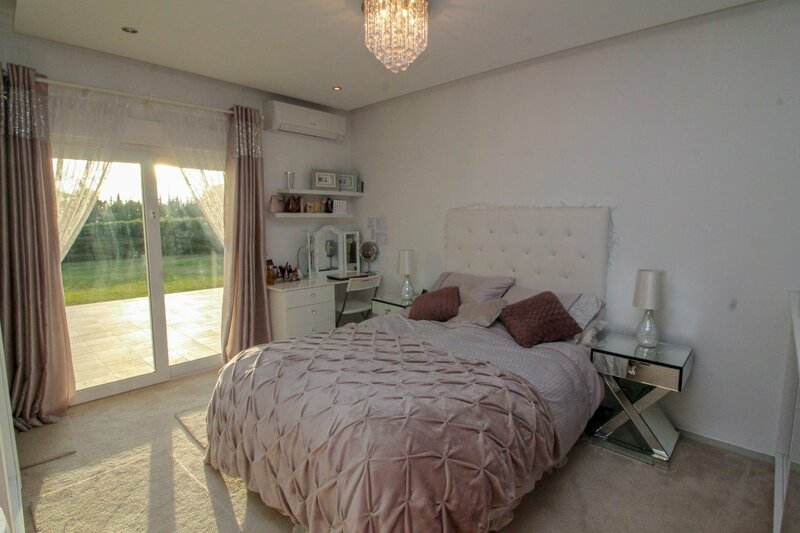 The lower floor has a further two double bedrooms also with private bathrooms, fitted wardrobes and terrace and garden access. 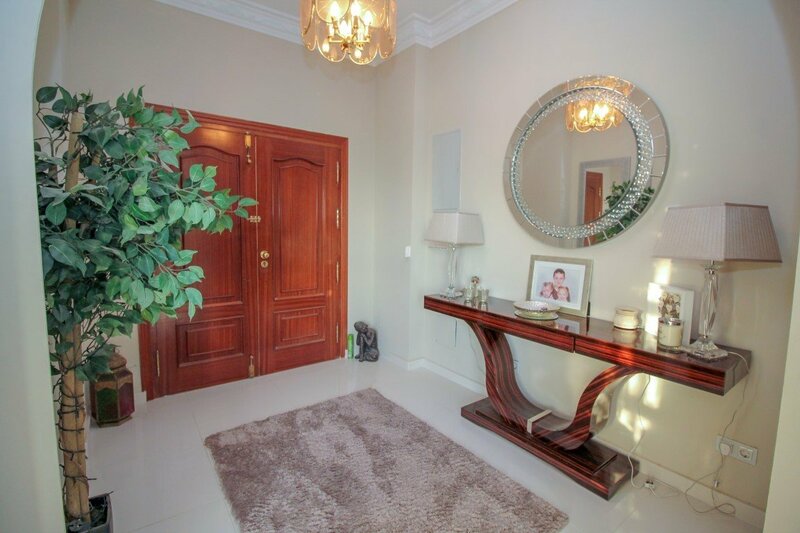 On this level there is also a separate entrance to a large basement area that has numerous possibilities. 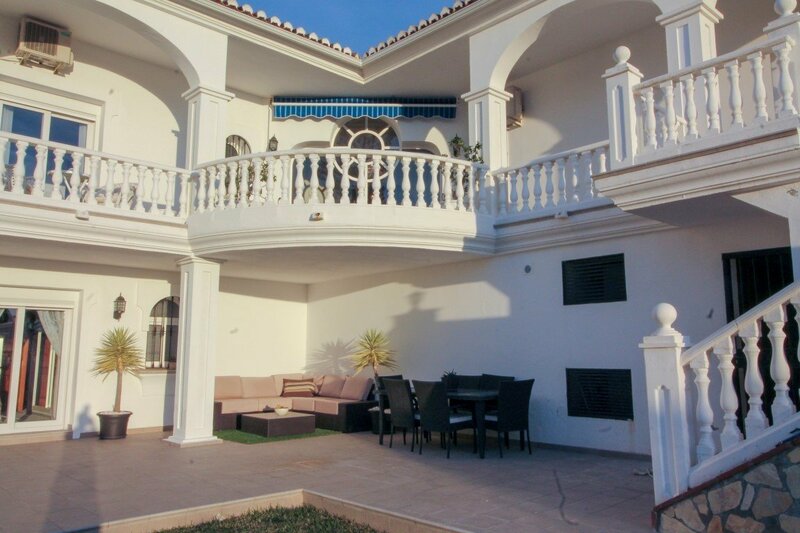 This wonderful villa is suitable as a permanent or holiday home and also functions perfectly as a luxury holiday rental. 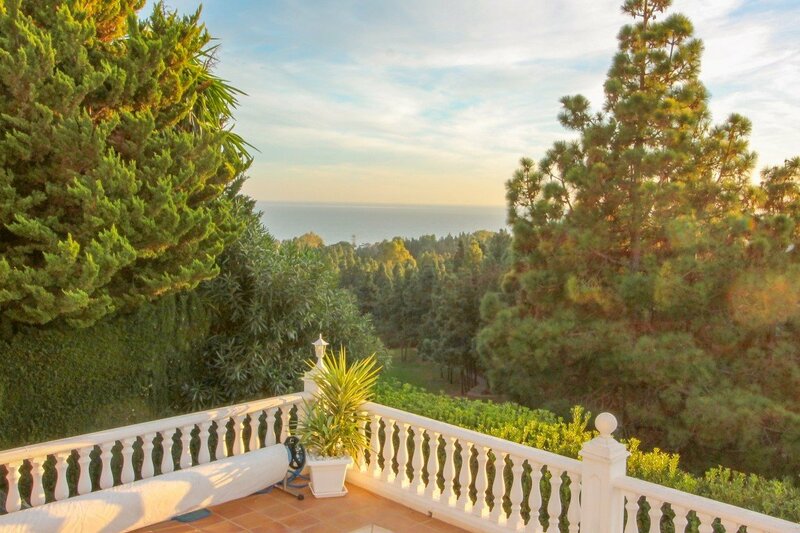 This is a must see property in the nicest residential road in El Chaparral and has golf and sea views down the valley to the coast. 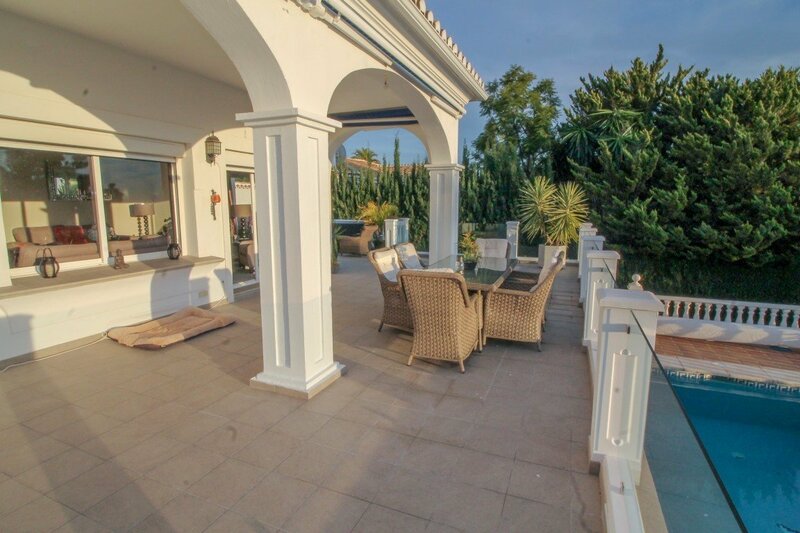 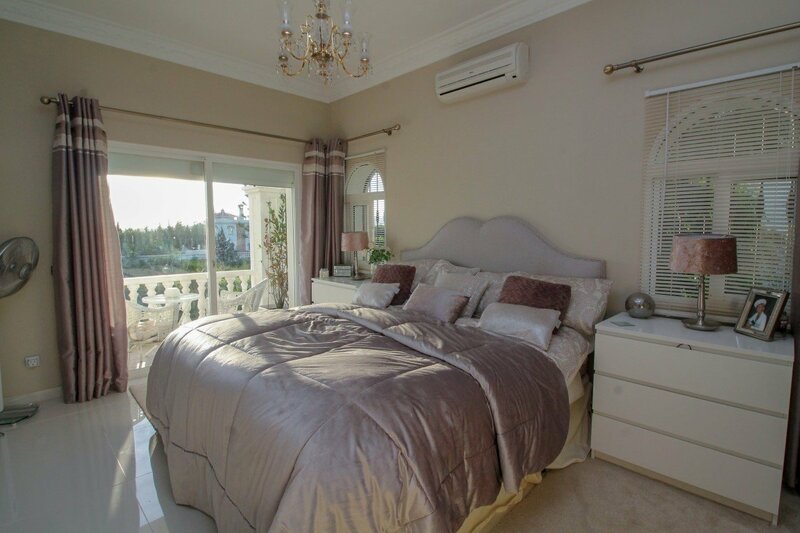 The vast terraces and lawned garden areas allow and abundance of outdoor living and the interior has been recently refurbished to a very high quality including kitchen and all bathrooms.